Loma Vista Farm is proud to bring Arizona a great selection of reining, roping and cow horses for sale by Dealin Dirty. 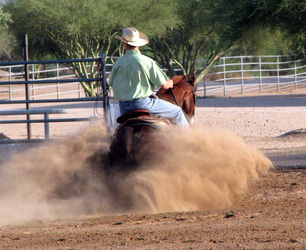 Feel free to call the ranch at 480-471-3499 or call Sharon direct at 602-284-8697 if you have any questions regarding our quality horses for sale. 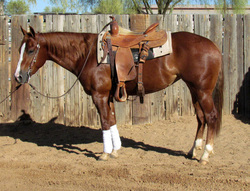 SOLD 2008 AQHA filly by Dealin Dirty x Chic San Lena. 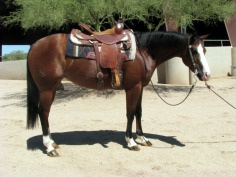 San Lena Chic is a 2008 reining mare. 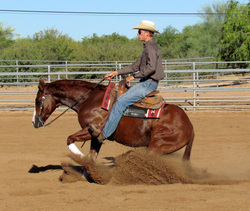 This mare is bred to perform and Dealer has passed her his talent. 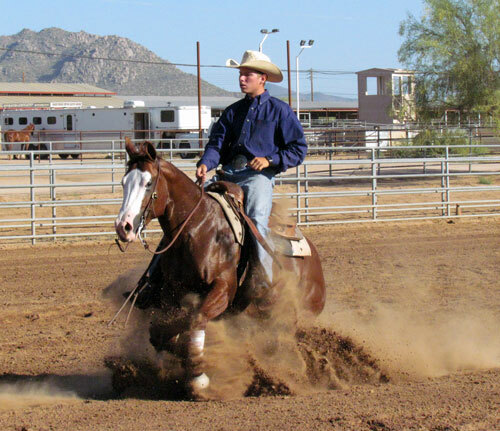 She is a great futurity prospect, who will be sure to get it done. She does all the "parts" with ease and style. She is a plus turner and stopper. 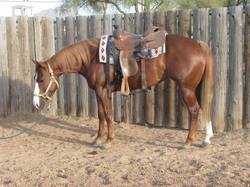 This mare has been shown, she is gorgeous, quiet, and Gentle. 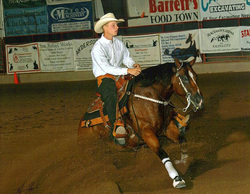 SOLD "Slack" is a 2008 reining gelding. He is by Dealin Dirty x Genuine Jewels. This gelding is an amazing loper! He is naturally low headed, and super comfy to ride. You can sit back and enjoy loping on him all day. "Slack" is stylish with a fancy turnaround, easy to change leads, and has a big stop! He has been shown and has done very well. This guy is very handsome and has great confirmation. Quiet and gentle, no vices. 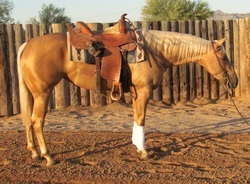 SOLD Deal Gold" is a 2008 AQHA performance mare by Dealin Dirty x Gigglin Ghost. She not only has the look, but this filly is SUPER talented. 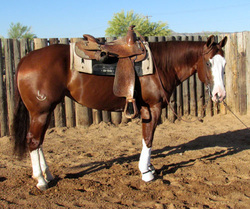 This mare is a big stopper and easy turner, and lopes around in the perfect frame. She is all around great mare, and will be a great derby mare. Ride her now, breed her later. Call for price. 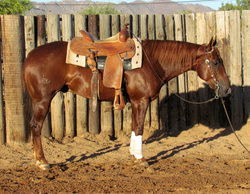 SOLD "Deal the Snickers" is a 2008 colt by Dealin Dirty x Cour D Alena. This colt is not only super cute, but he is an great cowhorse prospect. We have worked him on a cow and he shows great ability. He is quick footed on his turn arounds and a big stopper. 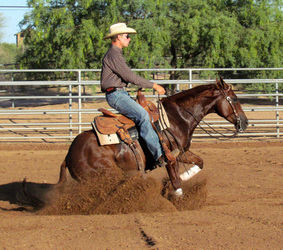 SOLD~"Ace of Jades" is a 2006 AQHA performance mare. She is by Dealin Dirty x Genuine Jewels. Outside of the fact that "Jade" turns heads everywhere she goes, she is TALENTED!!!!! 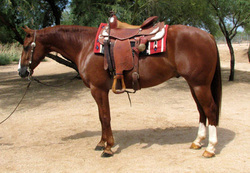 This mare has been ridden and shown as an open horse, but she will make an exceptional non pro horse. She is not only a dream to circle, but she is deadly leady. "Jade" is a plus turner and a big time stopper. Jade has the look, the talent, and a great personality...she is everything you have ever wanted. Gentle, quiet and she acts more like a gelding. Come ride her, you will fall in love. 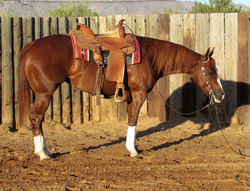 ~SOLD~"High Desert Gambler" is a 2006 reining gelding. He is by Dealin Dirty x No Freckles Please. "Cash" is fun to ride. He would make an excellent non pro horse. This is the type of horse you can lope all day. He is smooth as silk and very low headed. He can plus his circles, with ease! He is a big stopper and a cute turner. 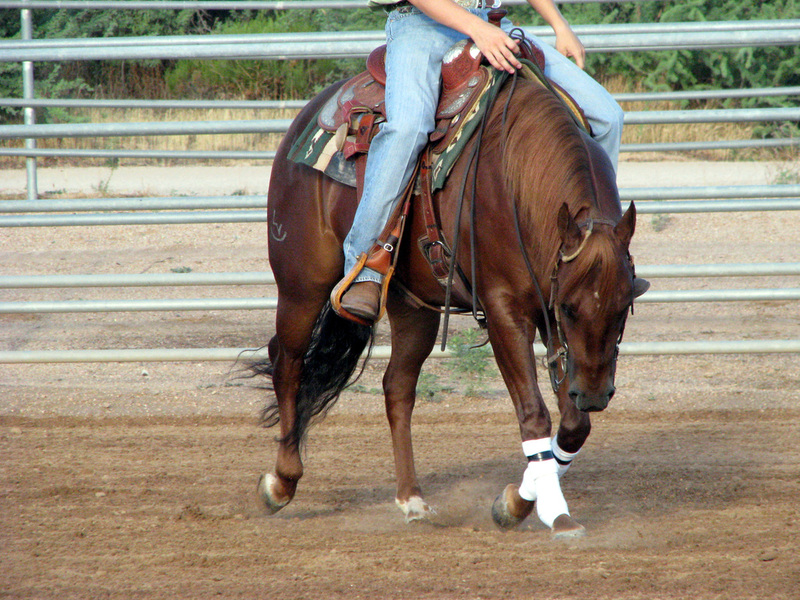 This is a beautiful gelding that has the "look" and the "skill". Put it all together and you have an all around great horse! 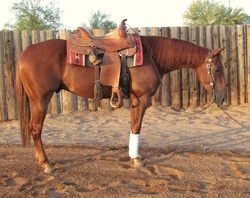 ~SOLD~"Deal the Chics" is a 2006 AQHA reining mare. She is by By Dealin Dirty x Chic San Lena. "Sugar" is a real looker and was put together like her parents. She has great confirmation, and is built like a tank! She has a lot of heart and it shows when you ride her! Great loper, and very eye appealing when she circles! Silky big stopper and a quick turner. Sugar is the type of mare you will want to keep forever!